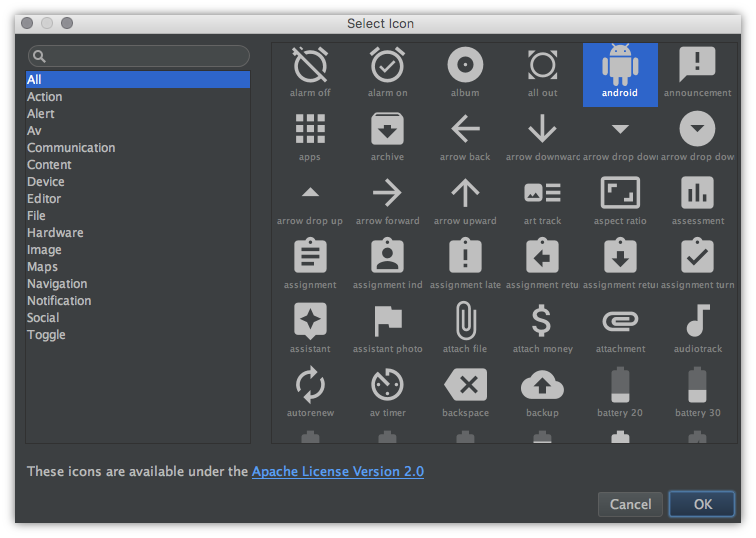 We have just released Android Studio 2.3 to the Canary channel. 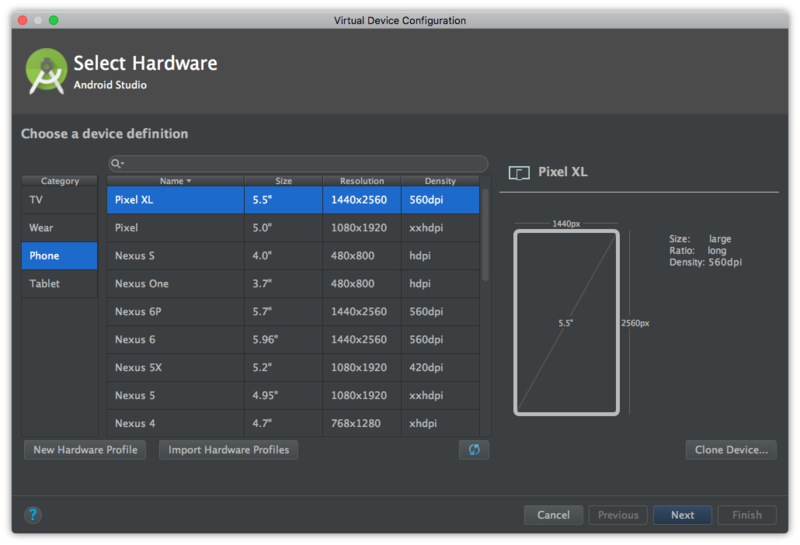 This is an early preview of work going into the next major release of Android Studio. This build contains a large number of bug fixes and a handful of new features. IDE: We've upgraded the base IDE from IntelliJ 2016.1 to 2016.2, which adds a number of new features -- ligatures, breadcrumbs, editor background images, revamped UI for inspections, notifications and the debugger, and more. Layout Editor: The layout editor now supports chains and ratios for ConstraintLayout. There are many new lint checks. Some examples include enforcing the new @RestrictTo and @VisibleForTesting(otherwise=intended) annotations in support library 25, flagging obsolete SDK_INT checks, making sure animated properties are valid and not renamed in release builds,flagging potential wifi manager memory leaks, and many more. Learn more about the new lint checks, and the baseline support, in this tech doc. 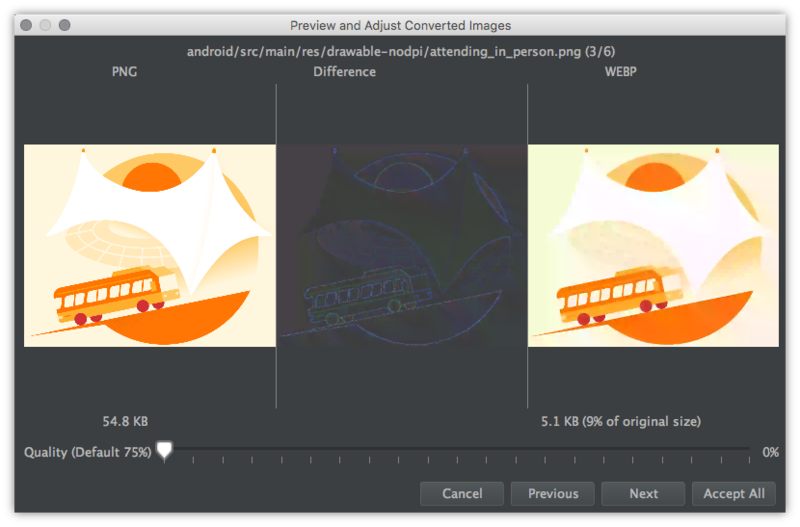 WebP: Android Studio 2.3 now provides PNG to WebP Conversion. With the new conversion wizard, you can quickly generate WebP images and if you're using the lossy encoding, inspect the diffs of your images. Using WebP images in your app saves APK space and is more performant. Learn more about the new WebP Support in this tech doc. Pixel and Pixel XL: Pixel and Pixel XL device definitions added to the Layout Editor and AVD Manager to help test your app with Android 7.1 Developer Preview Release. Incremental SDK Updates: This version of Studio includes support for incremental patching of SDK components, such as system images. We can now provide patches for system images (which are often very large) and updating those with Studio 2.3 will allow a much smaller and faster download. Bug Fixes. A notable & highly requested enhancement (b.android.com/220197) we also added is a search box to the Vector Asset Wizard You can now quickly filter through the vector icons based on the name of the asset. As always, please try it, feedback is very much encouraged! You can update via the built-in update mechanism (switch to the canary channel if necessary), or you can download a separate install of the IDE such that you can keep 2.2.2 stable and 2.3 canary installed side by side.